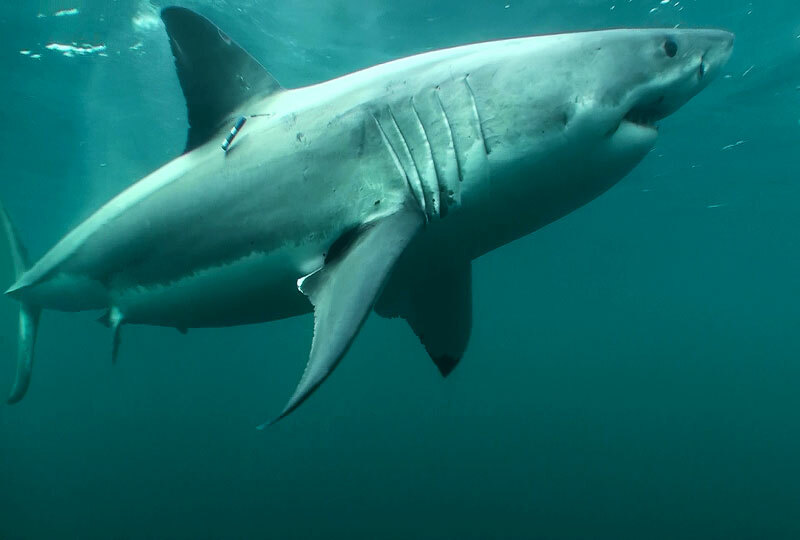 A joint 10-year Department of Conservation (DOC) and NIWA project to find out more about the great white sharks that inhabit New Zealand waters is coming to an end. DOC’s Clinton Duffy, is one of several scientists who have spent the past decade tagging great whites—a protected species—and following their movements. Clinton has a database of more than 100 sharks identified from their colour pattern and the shape of the dorsal fin. Some familiar faces are seen each year at tagging time, because many sharks return annually to the same place. Watch more videos (meet Pip and Ella!) and read more information about the great white shark research on NIWA’s website. Discovery’s Shark Week may have just finished, but we’re happy to extend their time in the limelight with this stunning photo by Terry Goss. 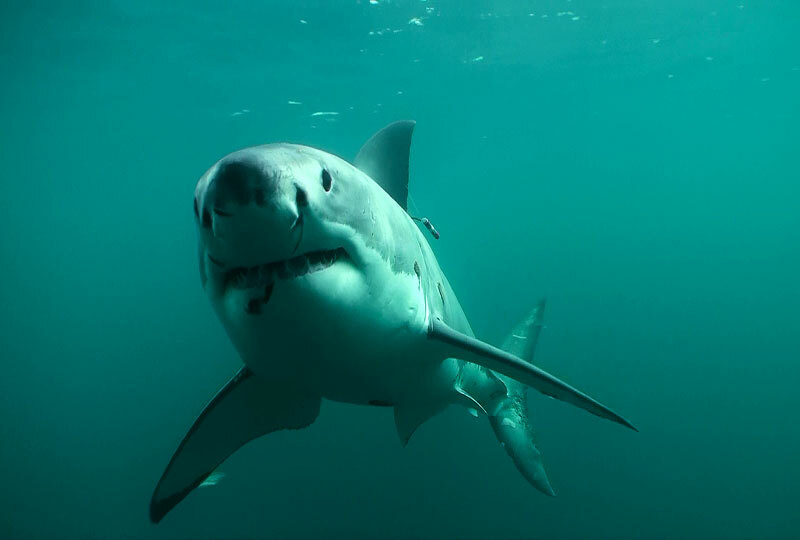 White sharks, often called white pointers or great white sharks, are large, iconic marine predators. New Zealand is a global hotspot for this species and they have been protected in our waters since April 2007. Photo copyleft, Some Rights Reserved, Terry Goss/The Forever Engine.